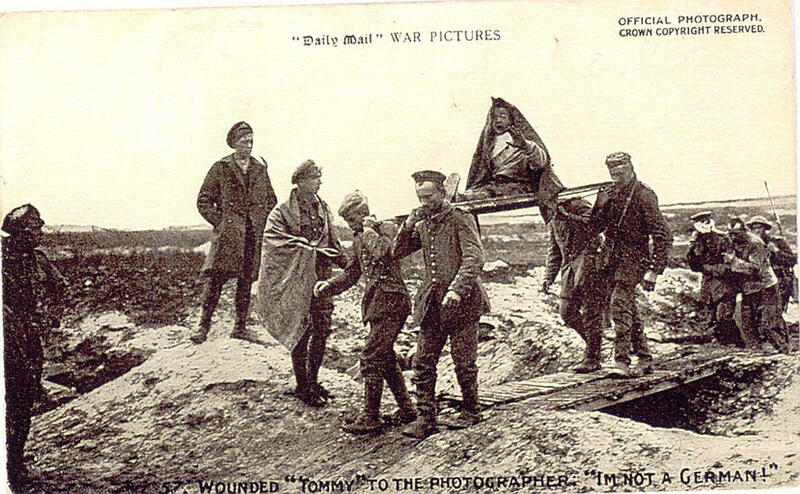 "Daily Mail" War Picture Post Card of a wounded "Tommy" (British solider). 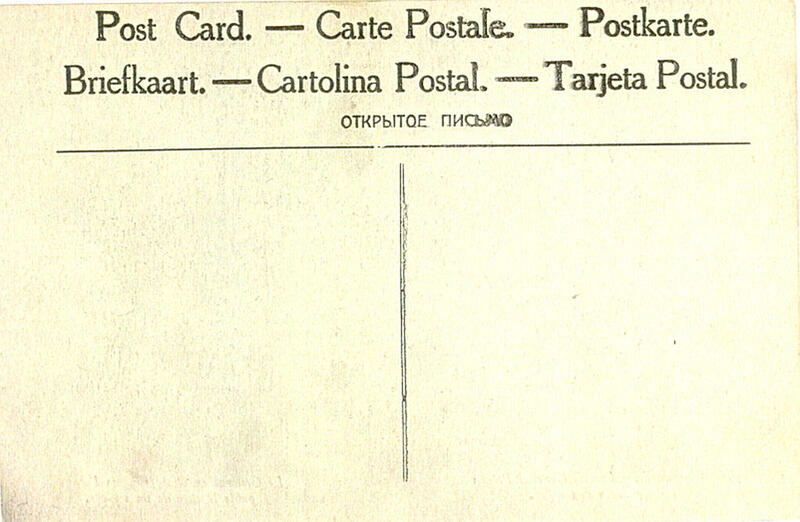 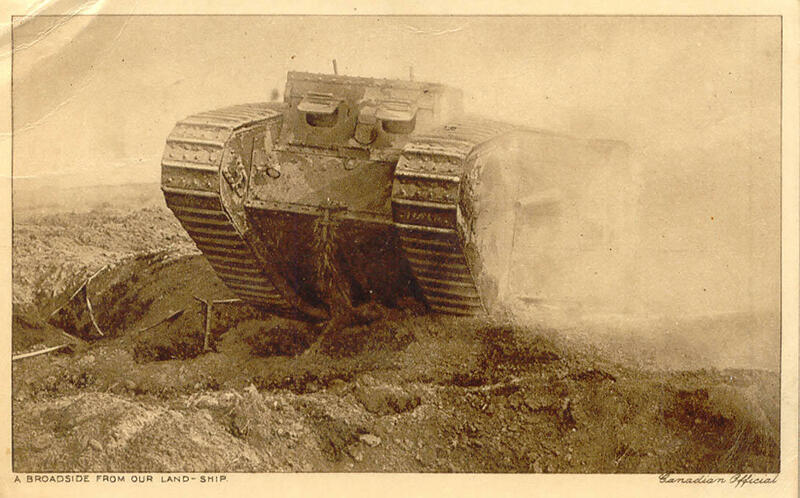 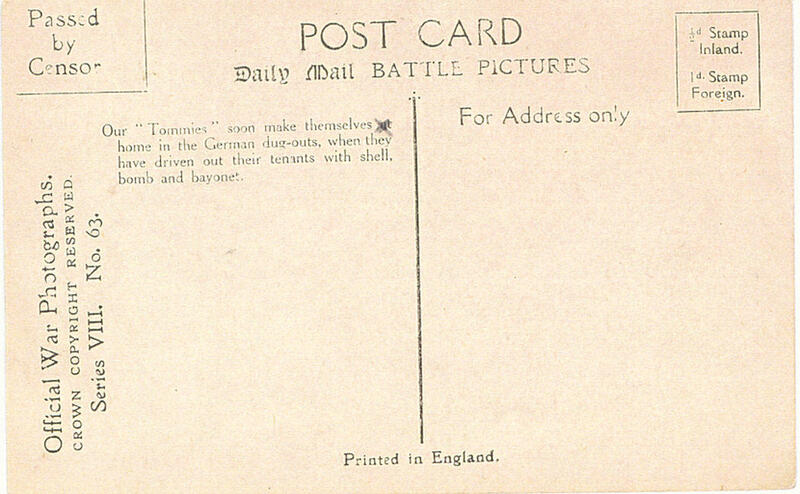 Back of "Daily Mail" War Picture Postcard. 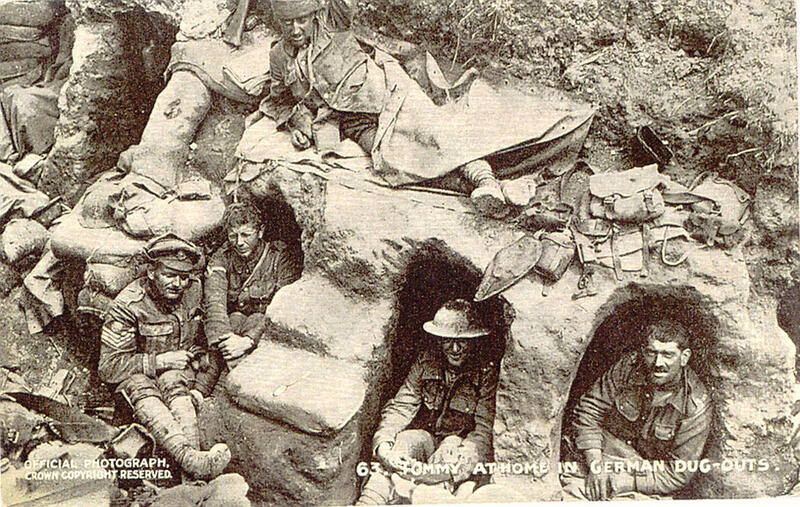 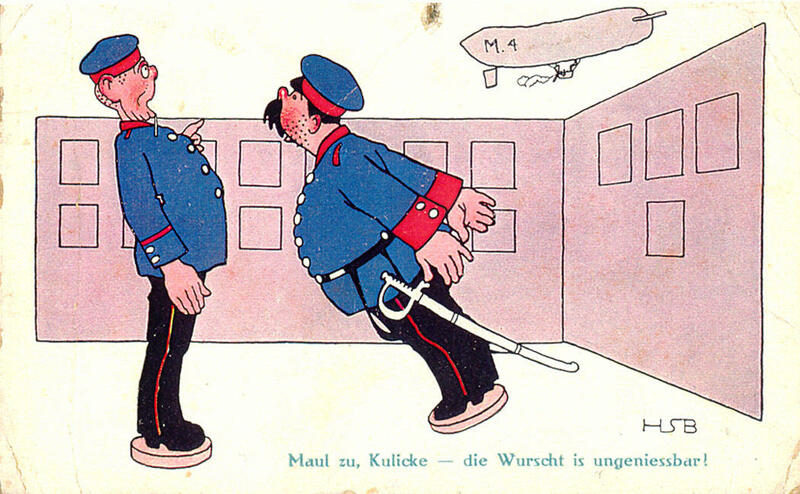 Front of Postcard with Tommy (British) at home in German Dug-Out. 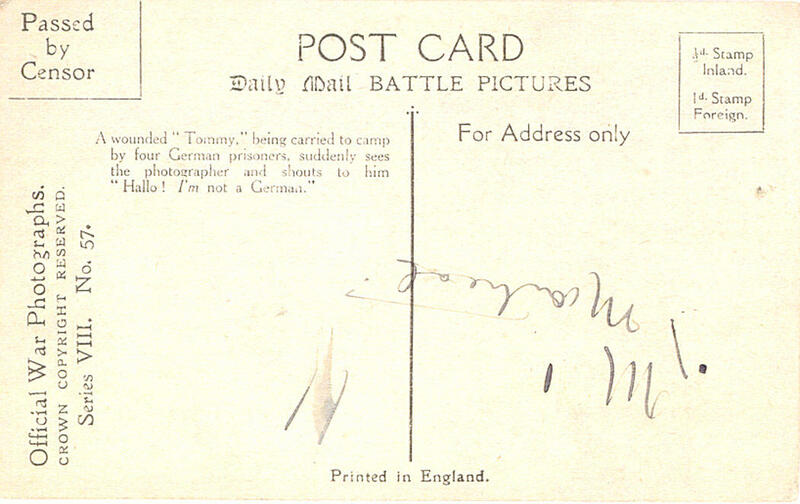 Back of Postcard featuring Tommy (British) at home in German Dug-Out. 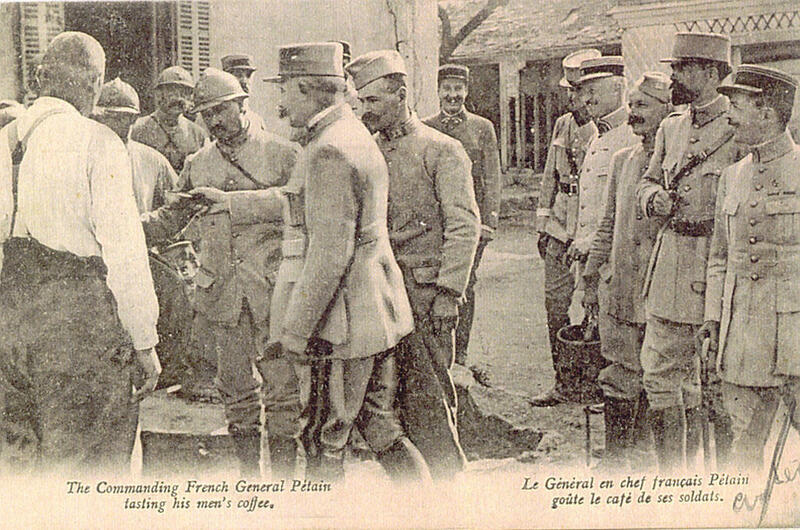 Postcard of French General Petain tasting his men's coffee. 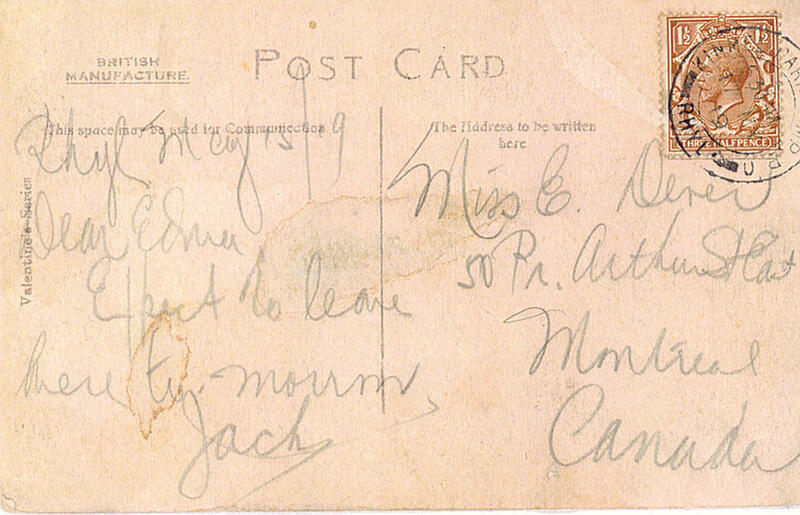 Back of Postcard featuring General Petain. 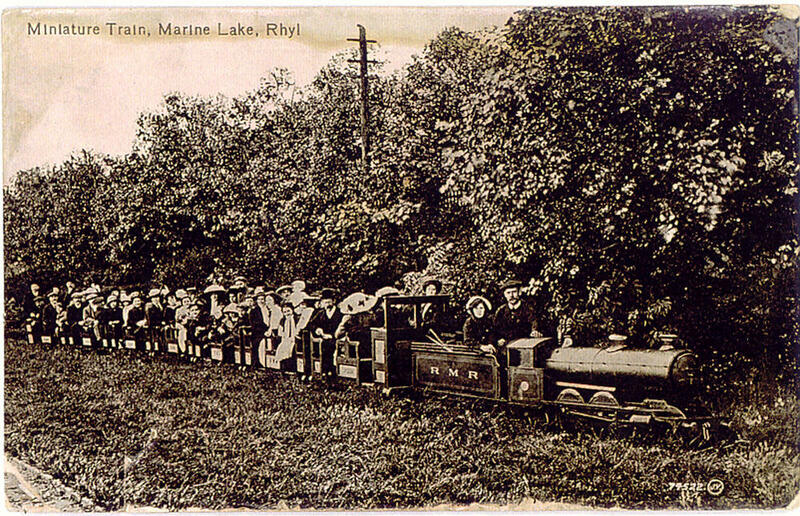 Front of post card featuring Miniature Train, Marine Lake, Rhyl.